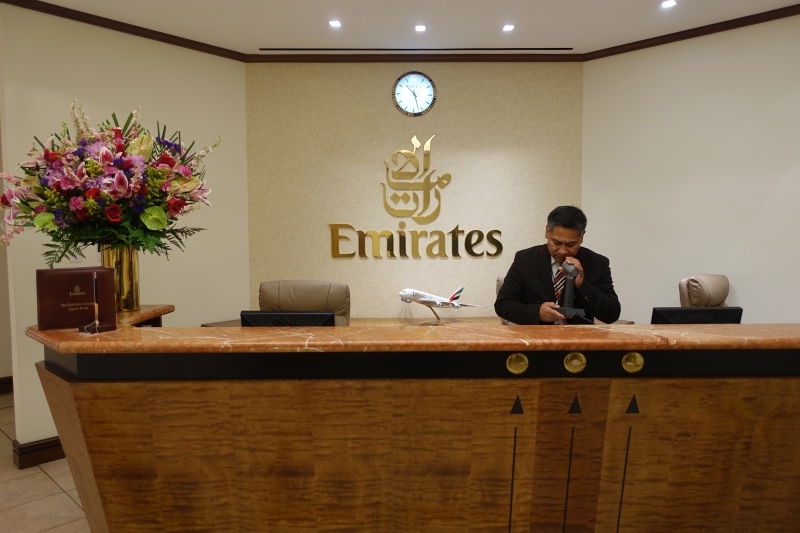 This Emirates Lounge at JFK Airport Review is from a recent flight in Emirates A380 First Class and part of a new trip report. 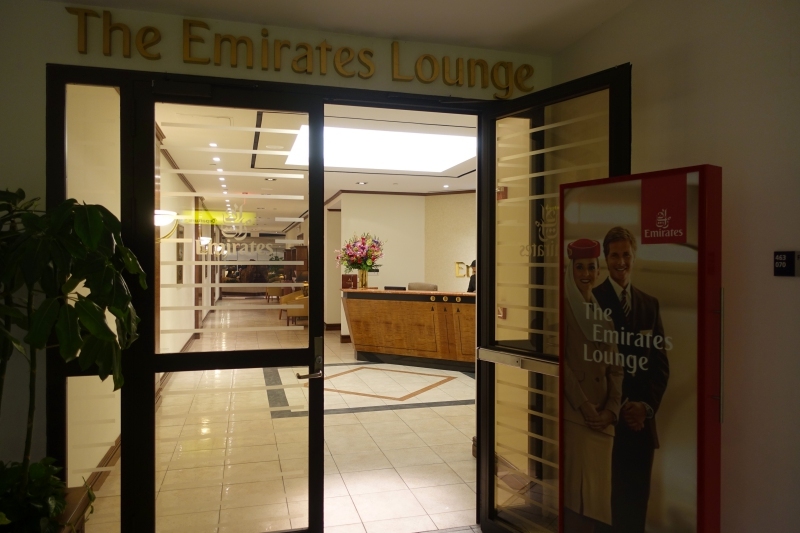 See all of our airport lounge reviews and all of our posts tagged Emirates. 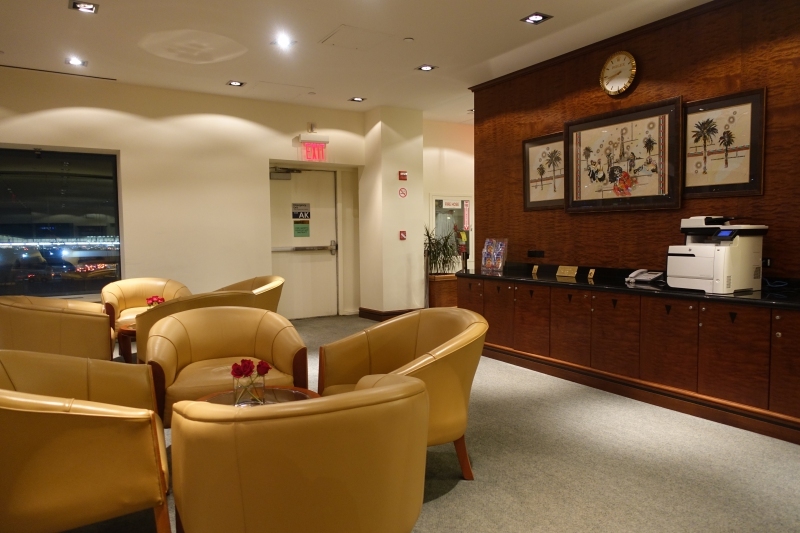 The Emirates Lounge at JFK is located at Terminal 4, near Gate A5. 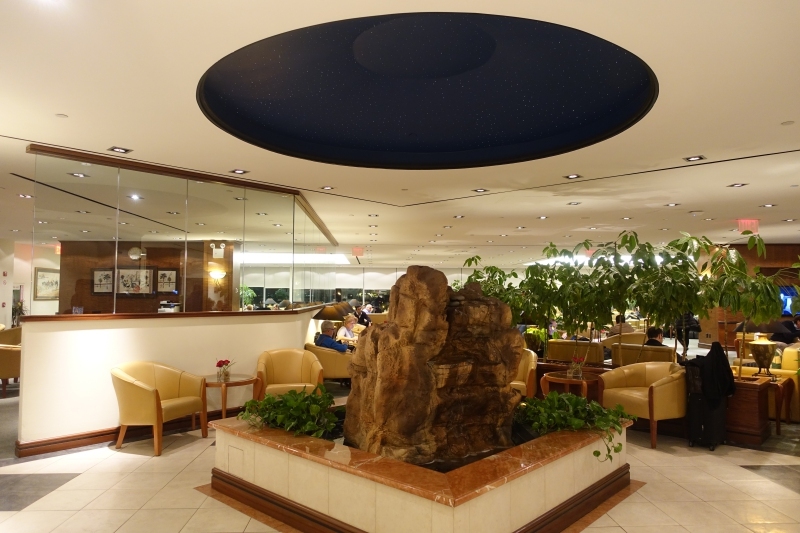 Look for the elevator to the lounges. 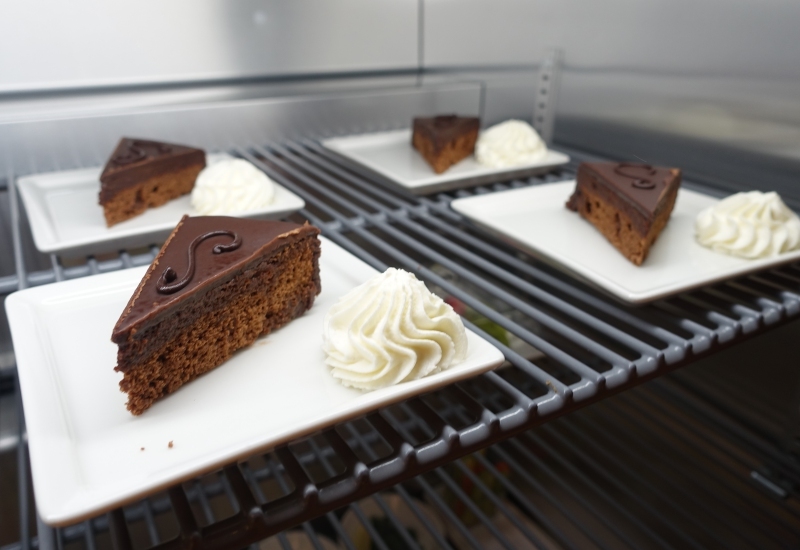 After exiting the elevator, the lounge is to your left. 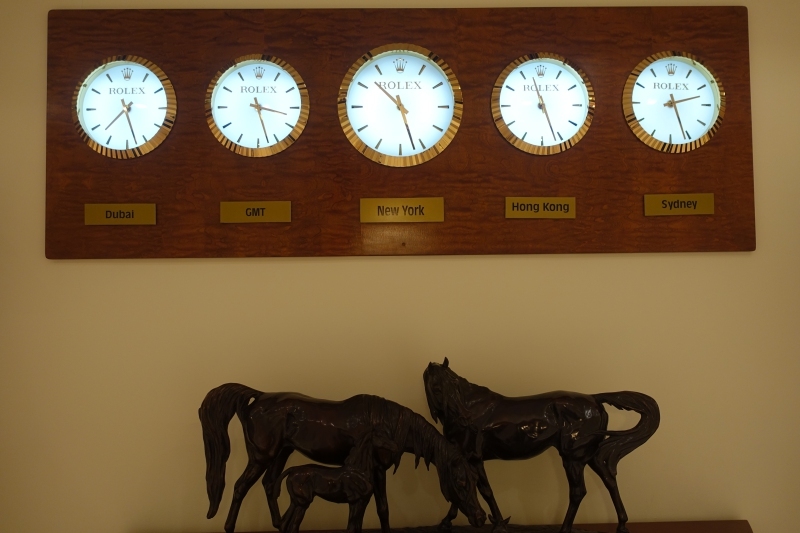 The nice thing is that first class and business class board directly from the lounge, so once you check-in at reception, you'll stay at the lounge and not need to exit it when boarding. 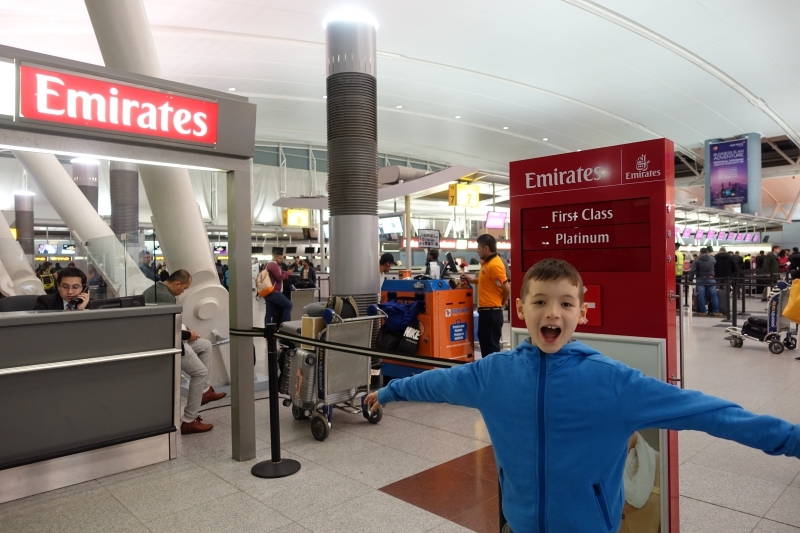 We arrived about 3 hours before our flight, because we had a late night flight and I needed to give my son some dinner and hopefully get him to sleep a bit beforehand, given takeoff was 3 hours past his usual bedtime. 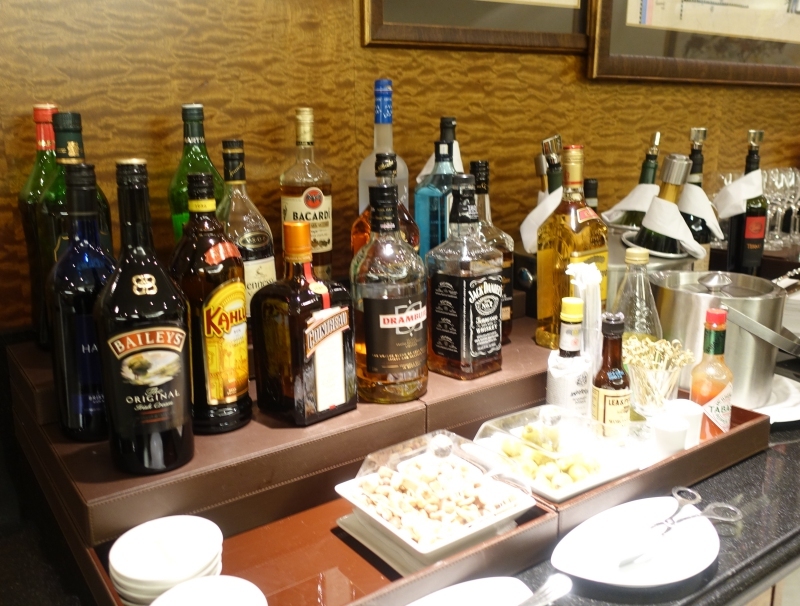 I'm glad that we didn't arrive later than we did, as the lounge, even though it was good sized, got quite crowded. I only managed to get the photo below as everyone was boarding our flight. Part of this is due to the way some of the chairs are set up, in groups of four. 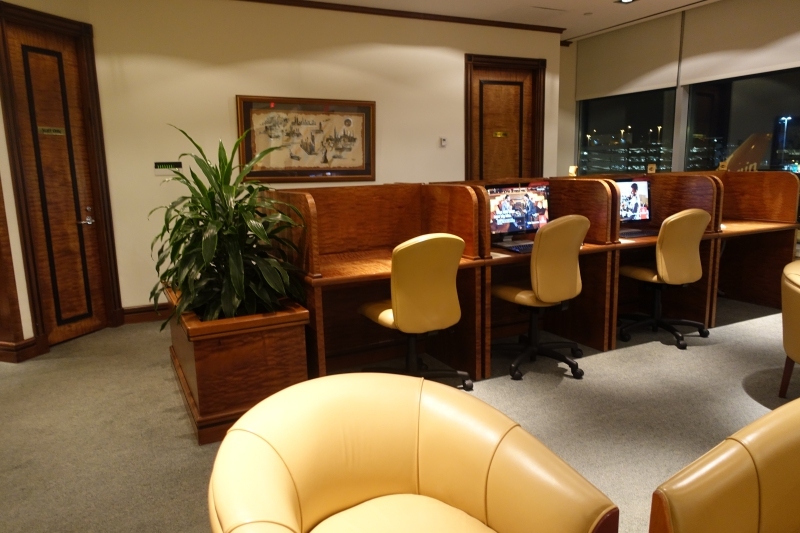 Since there were primarily couples and solo business travelers, once someone sat down in a group of 4 chairs, other guests avoided sitting there in such close proximity. 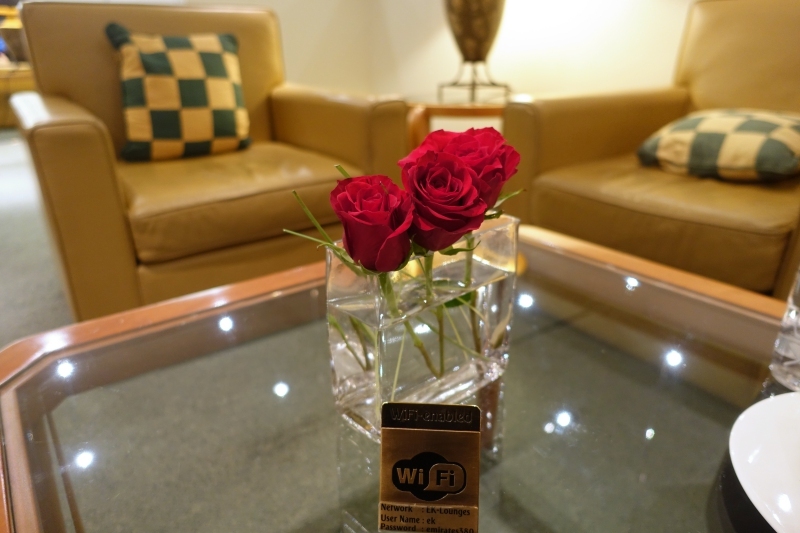 Lounge amenities include WiFi, and WiFi password details are conveniently placed on many tables, along with fresh red roses. 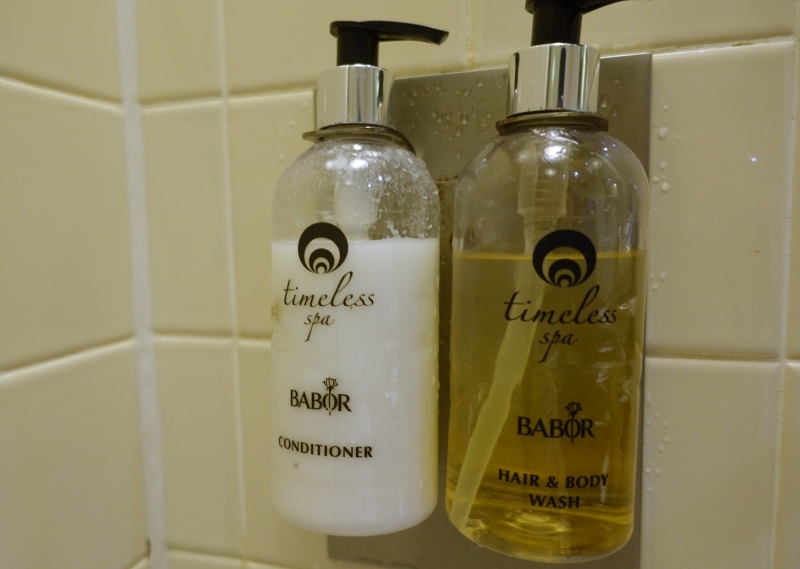 Unlike the Emirates First Class Lounge in Dubai there's no Timeless Spa, but there is a shower room, with Timeless Spa shampoo and conditioner. 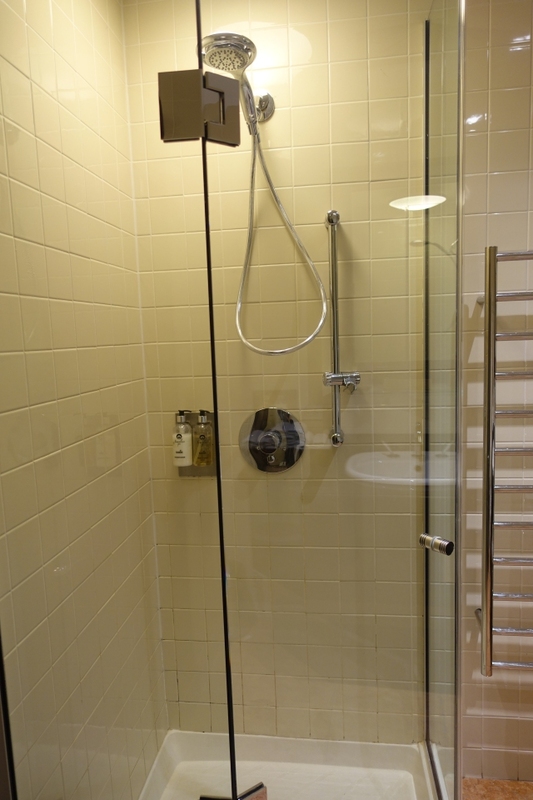 It's a pretty small shower room but has everything you need. 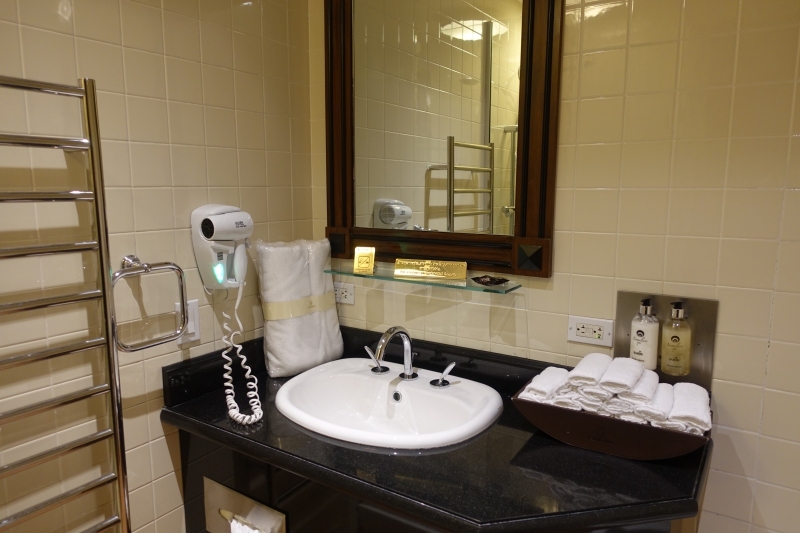 Best of all, there's a heated towel rack. There are no day beds much less nap rooms (the Lufthansa First Class Terminal in Frankfurt is fantastic, with its two nap rooms) but if you're traveling with a child and need him/her to get some sleep, you can put together a makeshift bed as I did, by turning a couple chairs to face each other. Don't forget to bring a sleep mask to help your child sleep better. The bit of beef stew, carrots and beans we tried were good but unexceptional. Here's the buffet area, which has limited seating. 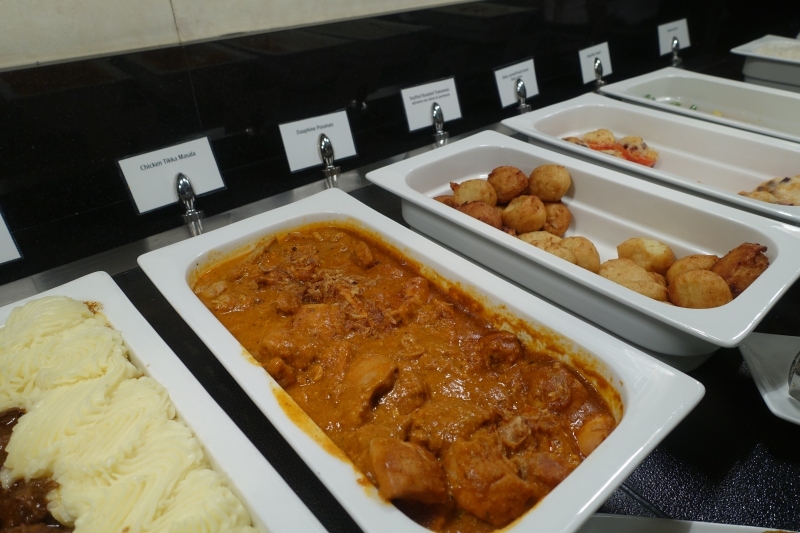 Other hot buffet options included curries, such as Chicken Tikka Masala, roast potatoes, stuffed tomatoes and hot sandwiches. 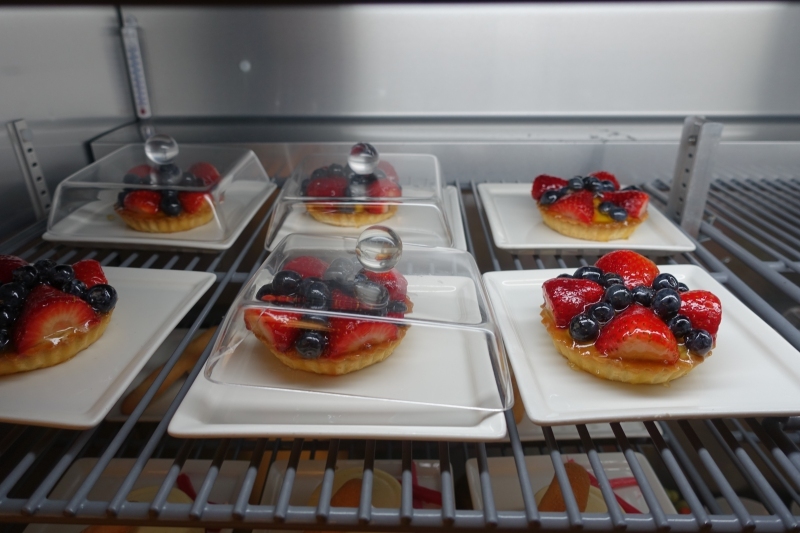 In the center, there's a display of some of the dips, cheese plate, and desserts that are in the refrigerated cases. 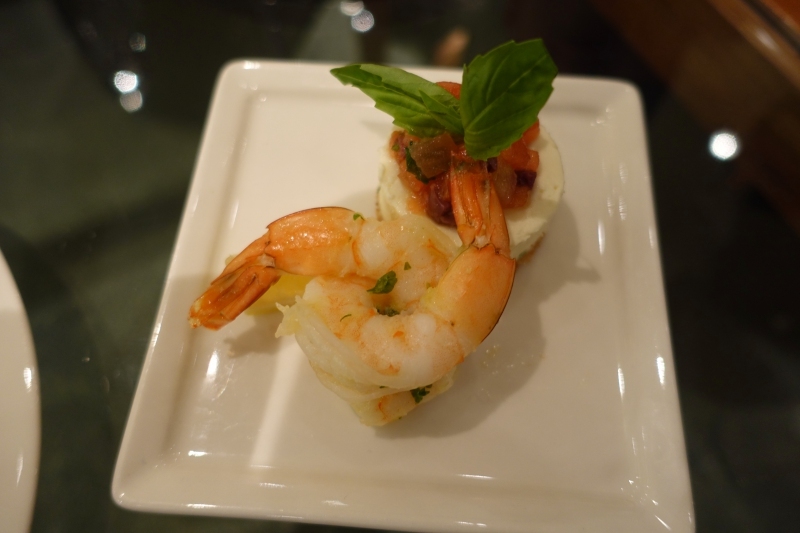 We especially liked the eggplant dip. 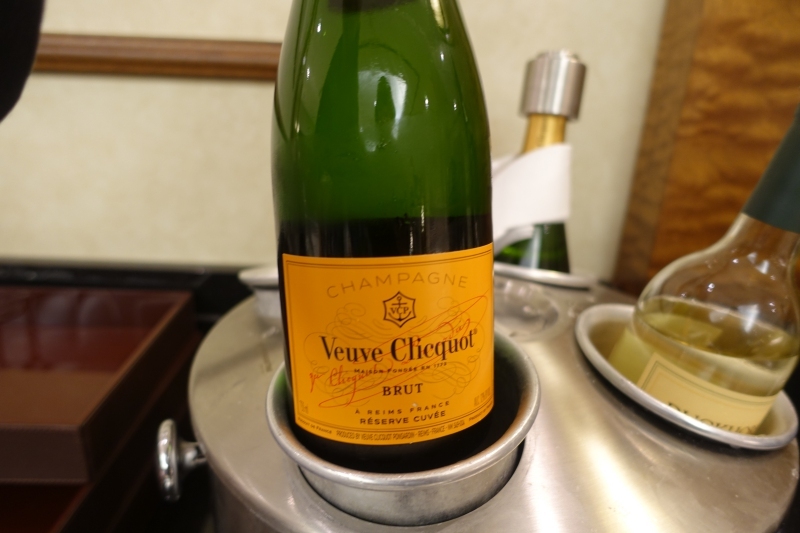 The champagne served is Veuve Clicquot, and the reds on offer were decent, probably in the $15-$20 per bottle retail price range. 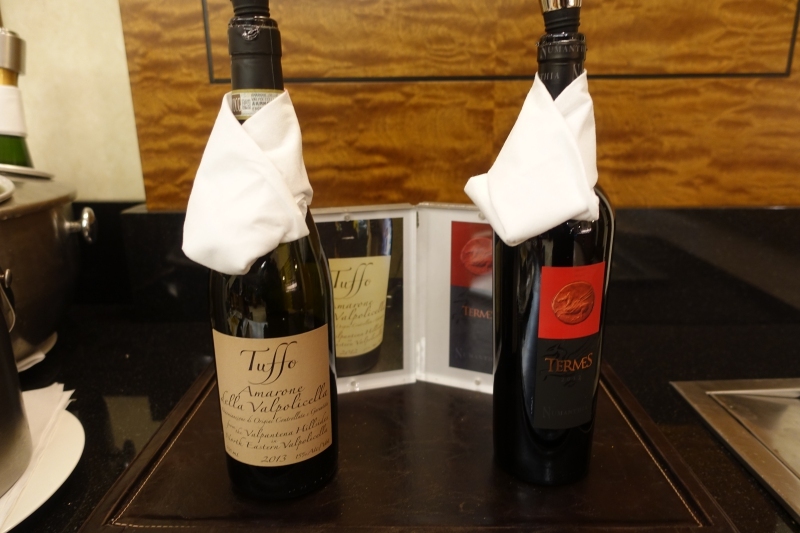 A range of spirits and liqueurs were also on offer–Emirates isn't Saudia, after all. 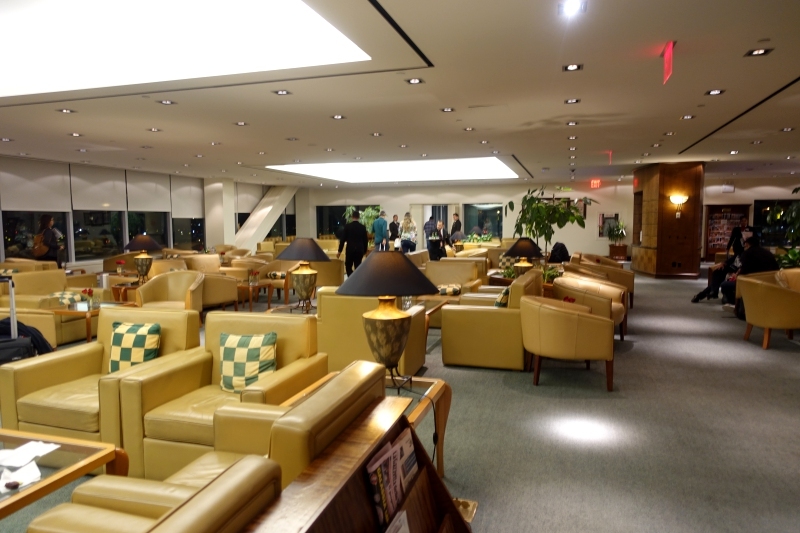 The Emirates Lounge at JFK Airport's highlights for me were the ability to board from the lounge, the shower room's heated towel rack, and the crab cakes. 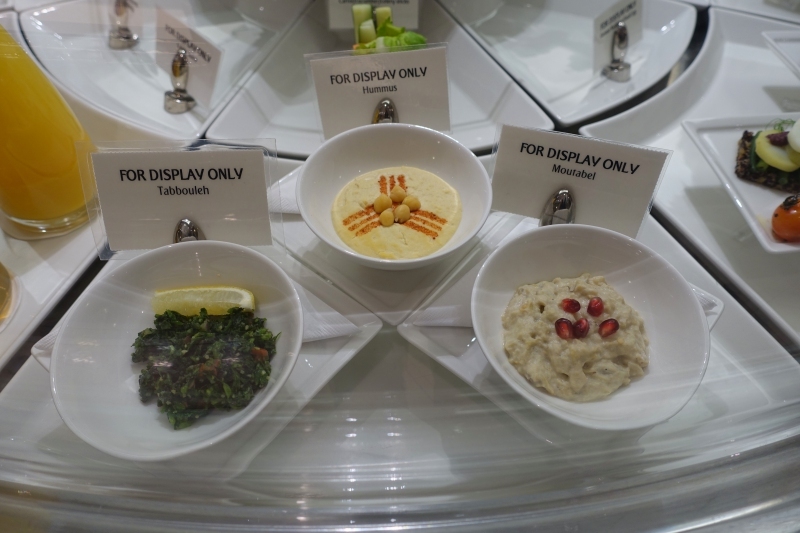 Honestly, the seating and decor looks quite dated compared to the Etihad lounges, which also have the benefit of offering a la carte dining. 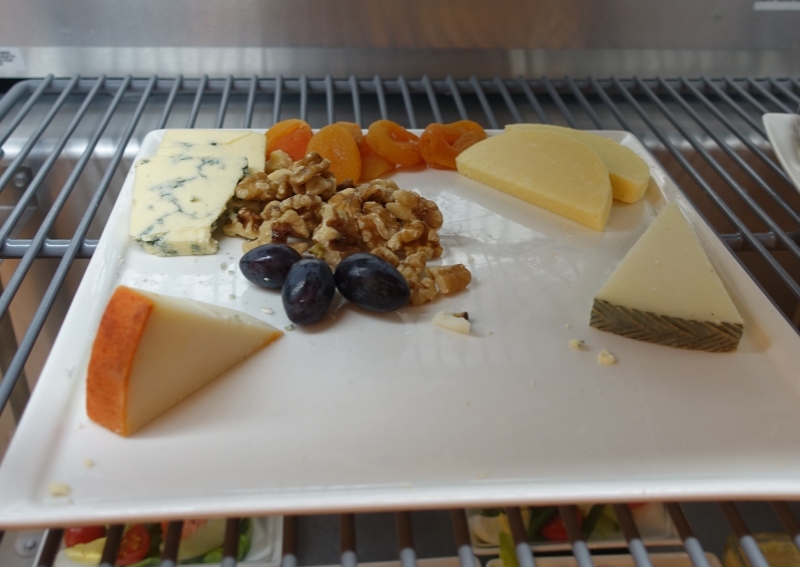 I also wish there were day beds for those trying to take a nap, and that there was more private seating offered–think the black booths in AMEX Centurion Lounges. I would have also liked to see more and more easily accessible power outlets. 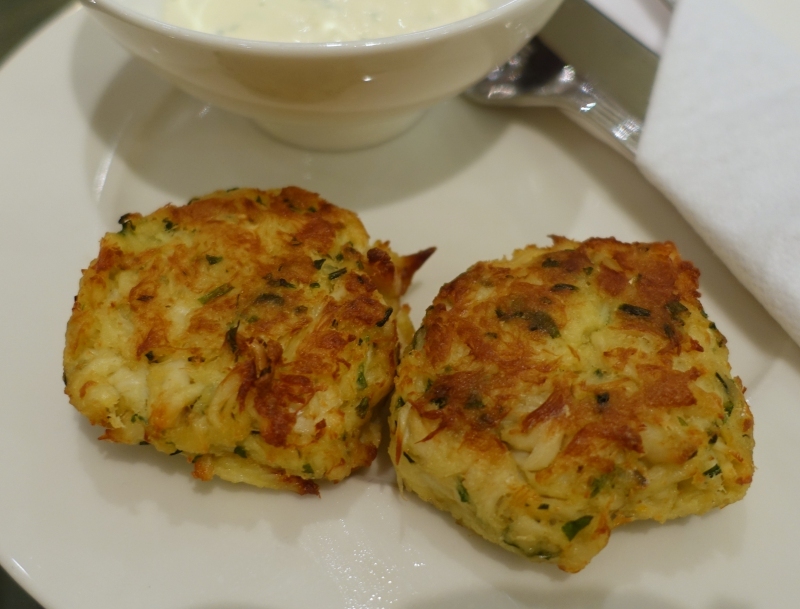 All that said, the staff were courteous and helpful, and even proactively offered to bring a couple crab cakes to me once they were ready, since they were temporarily out of them on the buffet. 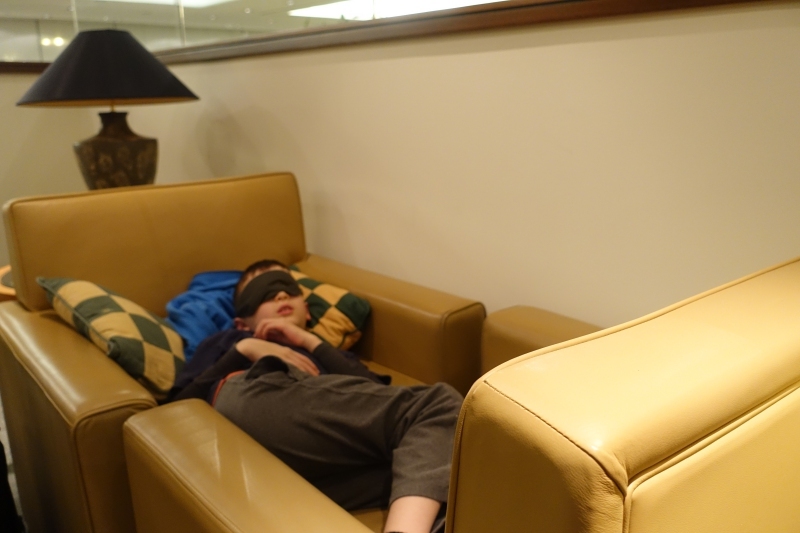 And I was grateful to them for letting my son sleep in his makeshift bed; in all likelihood, had this been a U.S. airline domestic lounge, a surly lounge employee would have made me wake him up and keep the chairs in their original configuration. 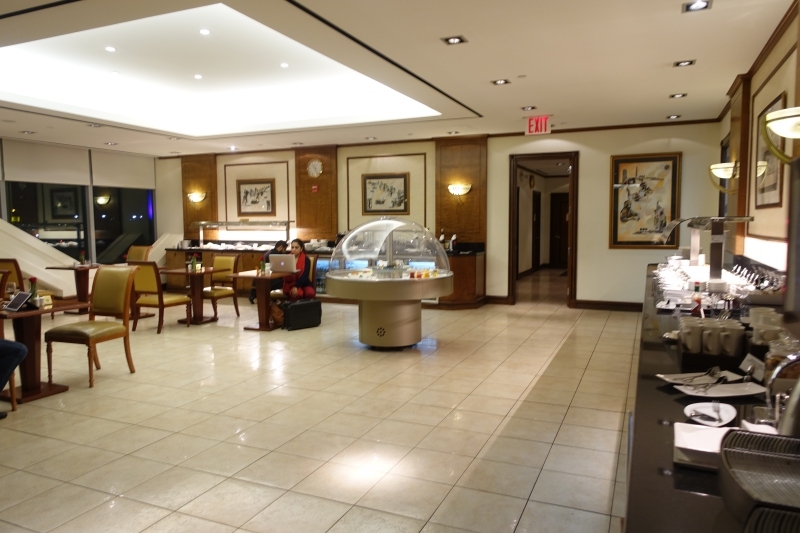 If you've been to the Emirates Lounge at JFK, what was your experience? Honeymoon: Maldives or Bora Bora? Need Award Booking Help? Our fee is as low as $75 per ticket if you book your hotel or cruise with TravelSort.